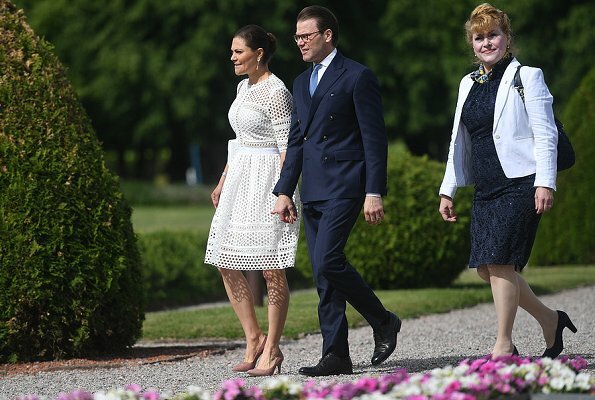 In connection with Sweden's National Day celebrations, Crown Princess Victoria of Sweden and Prince Daniel of Sweden visited Strömsholm Palace on June 06, 2018. 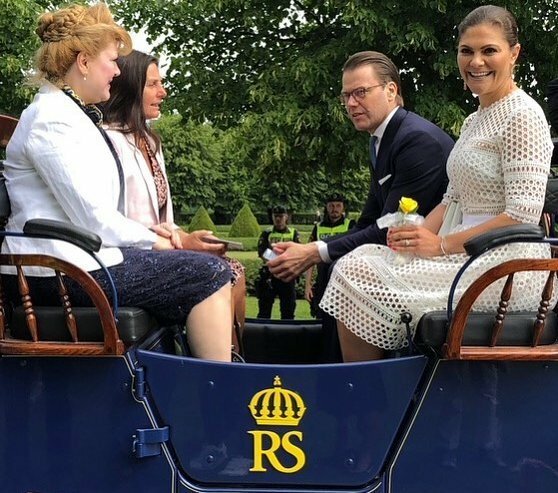 Crown Princess Victoria and Prince Daniel attended the opening of Stromsholms Horse Museum (Hästmuseum Strömsholm) at Strömsholm Palace. The dress is By Malina, not Self Portrait. It was confirmed by the brand when she wore it to Oscar's christening. 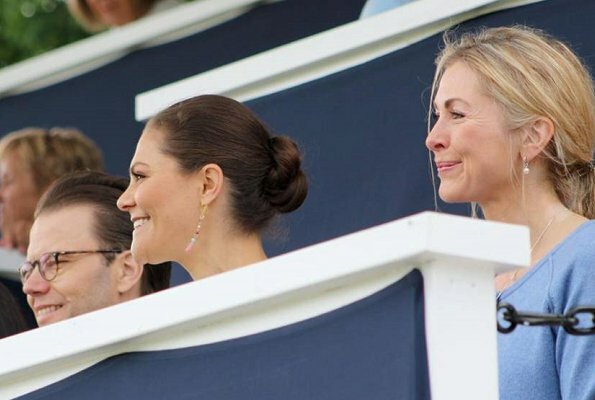 Always beautiful Victoria is always stylish and down to earth woman prins daniel and Crown princess victoria always makes me happy. Look, they're holding hands. 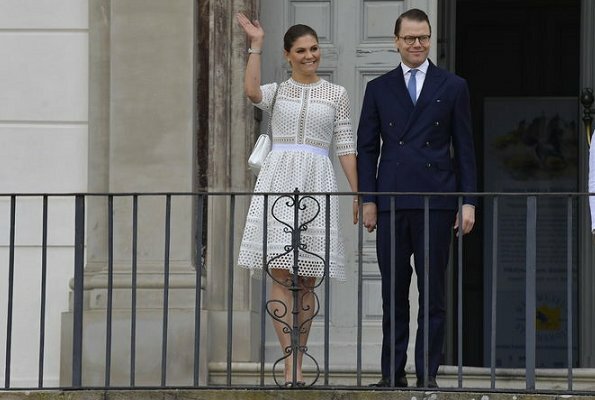 Brit royals take notice. It is o.k. to show affection and be professional. Love her dress. Hand-holding is a personal thing. Some people are not comfortable doing it. I do not think there is any need to chastise someone for NOT holding hands! Great dress beautiful Pss,nice smile. Pretty dress and she seems very relaxed and happy. Nice appearance. She looks so beautiful with this dress!